Street food. The best food, and made by the best pop-ups in London in an ever-changing line-up. Burger Bear brings the beef (and veggie options) every Monday and Tuesday night and all day on Saturdays. Apologies if all other burgers now seem bland in comparison. The Flygerians are running Wednesday nights on a permanent basis. Their Garden of Edun menu brings you fantastic Nigerian street food that will fill your belly and warm your soul. 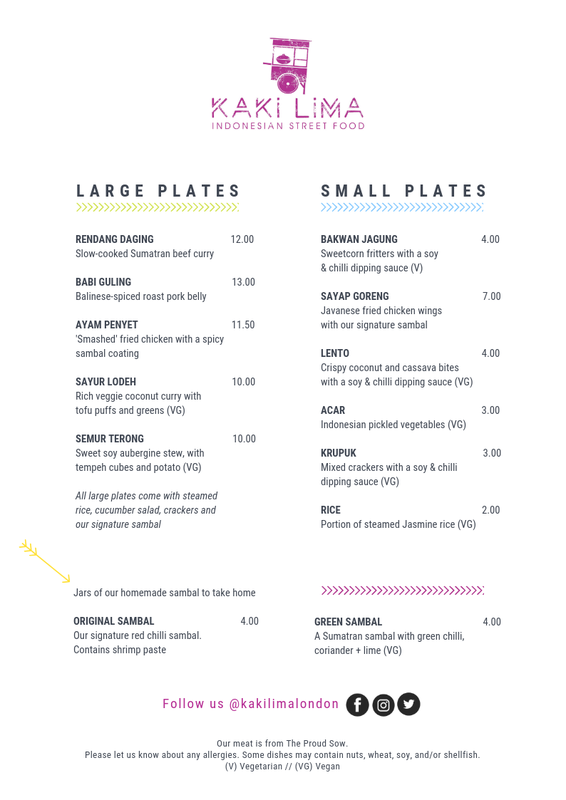 Back for their third residency here it’s Kaki Lima: Indonesian street food that will make your taste buds sing with joy. Every Thurs & Fri night until February 15th. 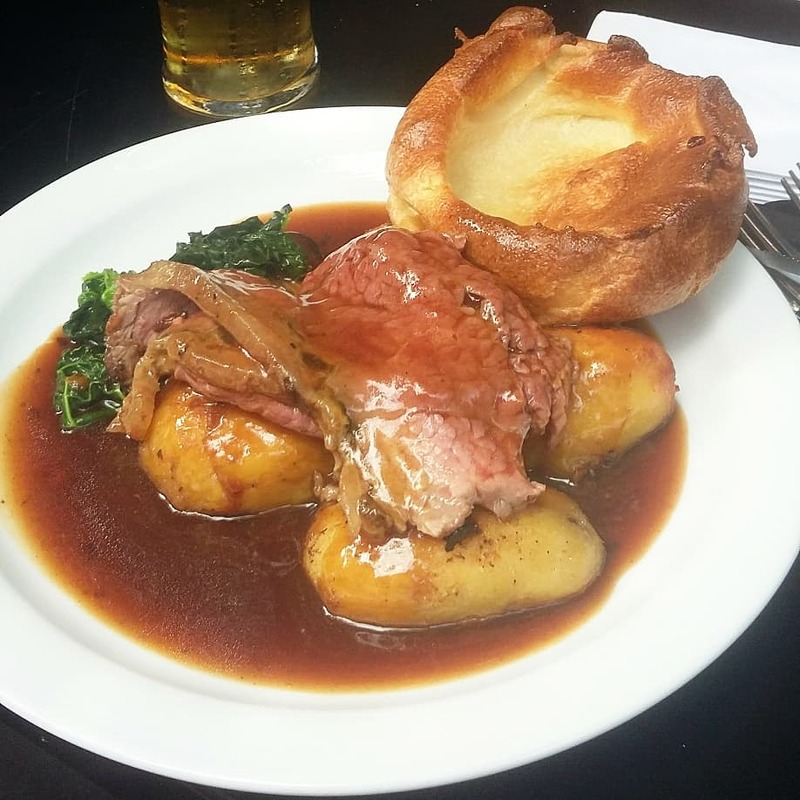 Then on Sundays we bang out the roasts, and they’re as good as you expect food obsessives like us to deliver to your mouth. Serving from noon until they run out, book a table to avoid disappointment. We’re always on the look-out for great new street food traders so give us a shout if you think you’ve got what it takes. Also available: AMAZING CAKES! Cat from Cat FOOD Cakes makes all our brownies and cakes, and she’s as talented as she is lovely.